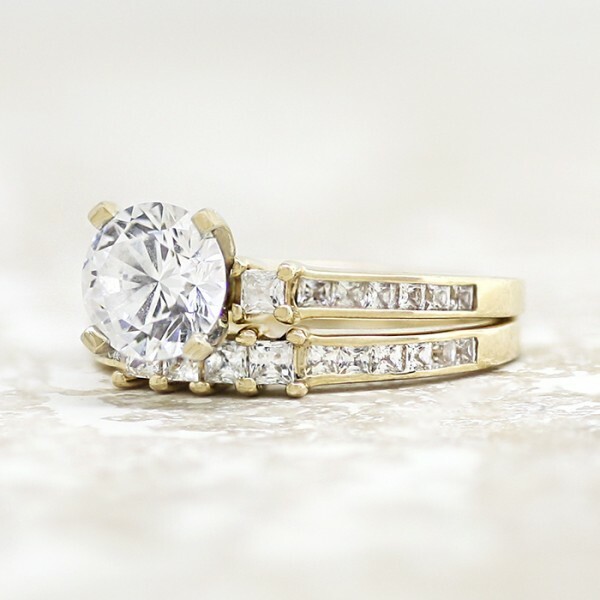 Kit with 1.49 carat Round Brilliant Center and One Matching Band - 14k Yellow Gold - Ring Size 6.0-8.0 was added to your cart. 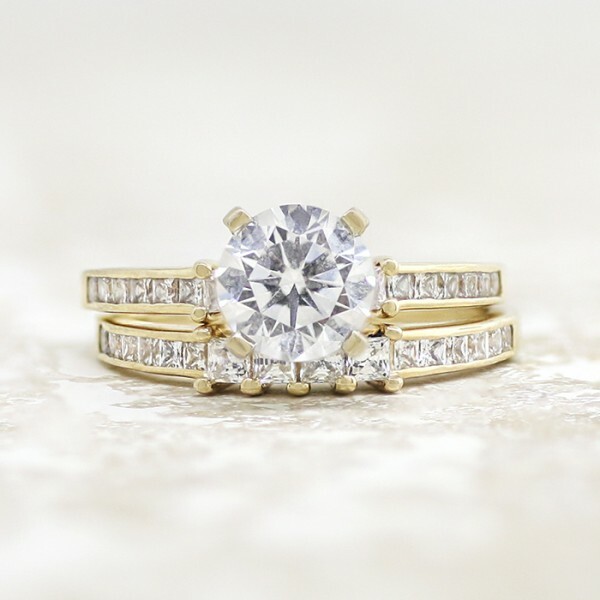 Contemporary yet romantic, the Kit engagement ring shines with clean lines and modern details. The radiance of the Contemporary Nexus Diamond center stone is flanked by two Princess cut accents and 14 channel-set stones in the band that add a light, feminine touch. The matching band completes this bridal set.